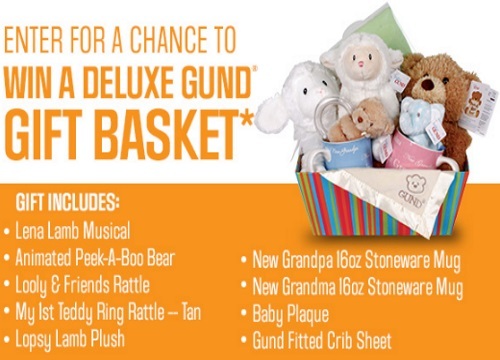 Sears is giving away a Deluxe Gund Gift Basket! This gift includes: Lena Lamb Musical, Animated Peek-A-Book Bear, Looly and Friends Rattle, My First Teddy Ring Rattle (Tan), Lopsy Lamb Plush, New Grandpa 16oz Stoneware Mug, New Grandma 16oz Stoneware Mug, Baby Plaque and Gund Fitted Crib Sheet. Contest closes July 27, 2016. Retail value approx $210.